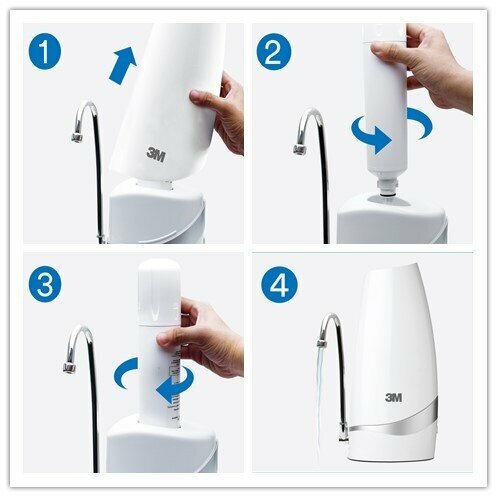 he 3M CTM-02 Countertop Drinking Water System'swater filter cartridge is tested & certified by NSF standard 42 and 53. It comes with high water flow rate up 1.8litre/min. 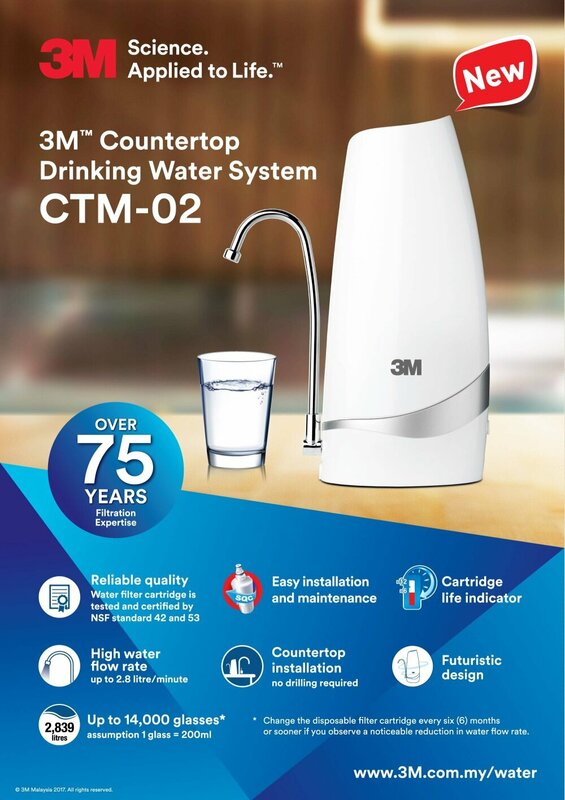 The3M CTM-02 Countertop Drinking Water System filteration efficiency up to 14K glasses where 1 glass equal to 200ml.It comes wih futuristic & modern design. It have cartidge life indicator and theinstallationno drilling required and easy maintenance. Countertop installation. No drilling required.